Discovered a new cafe last week over the long weekend. Did you all enjoy the 4 day weekend? 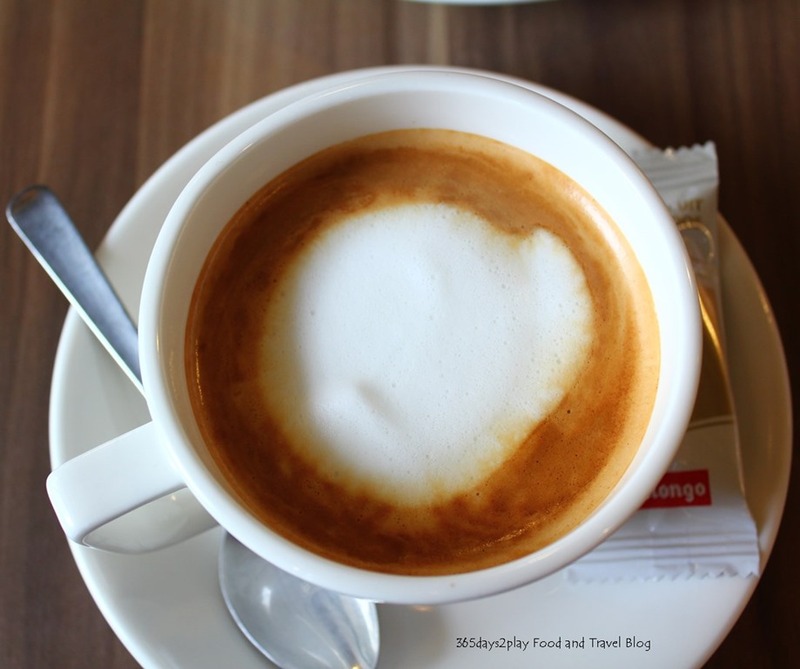 I certainly did cafe-hopping all over Singapore. Wish Singapore had more Public Holidays. I hardly think most companies would suffer, the non-manufacturing ones I suppose. We’d still all have to come back on Monday to finish what we left off. Less official working days to finish all the work results in greater efficiency and yet a happier workforce, don’t you think? The Coffee Shot has been around for some months. I vaguely recall wanting to visit it but with the hype from even newer cafes opening, I lost track. I think Singapore’s going to become like Taiwan, Japan and Melbourne in terms of coffee culture. 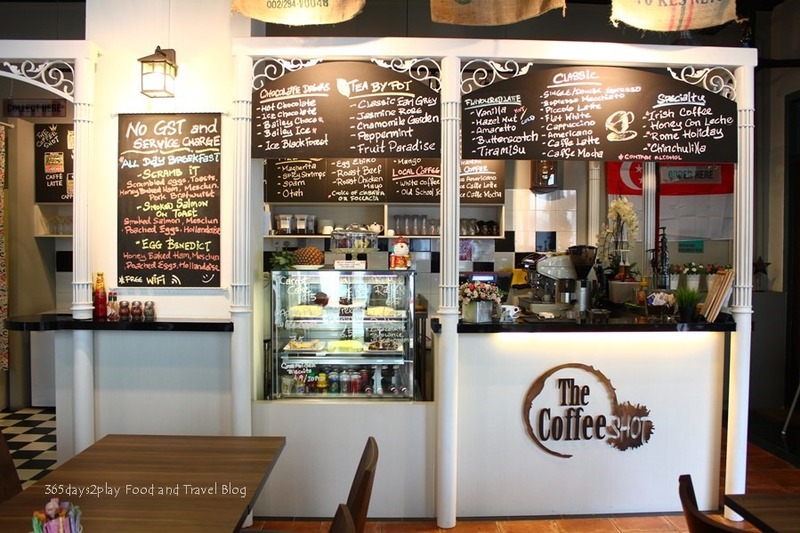 I can recall just merely 2 years ago I was lamenting the lack of good cafes in Singapore and now, you can bank on having a cafe right in your own neighbourhood. And of course, the rule of thumb being, the more far flung and obscure the location, the more crowded the cafe! 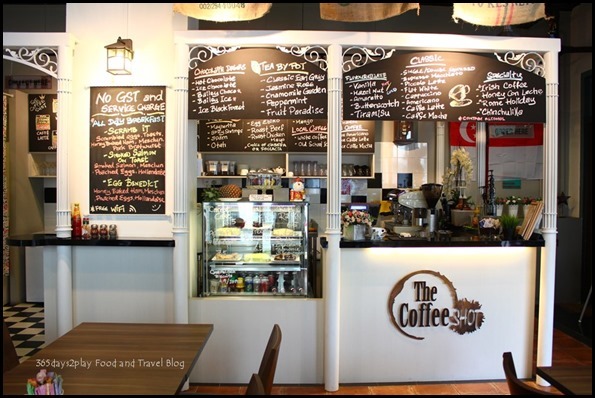 If you’re in the Lavender / Jalan Besar area, you might just want to visit The Coffee Shot, rather than Chye Seng Huat Hardware (a cafe, yes!) which I hear is still as crowded as ever. The Coffee Shot faces the Lavender main road, so you won’t miss it. It seems that area is also frequented by backpackers because while I was there, 2 Caucasians with laden backpacks came in for a rest. I take my hat of these backpackers. The backpacks are almost as tall as the bearers and they sure look heavy. I feel tired even thinking of the idea of having to backpack somewhere. I’d rather save up and travel more comfortably, but I guess if the priority is to see more with less money, backpacking is the way to go. It’s hard to get a really good apple pie in Singapore. 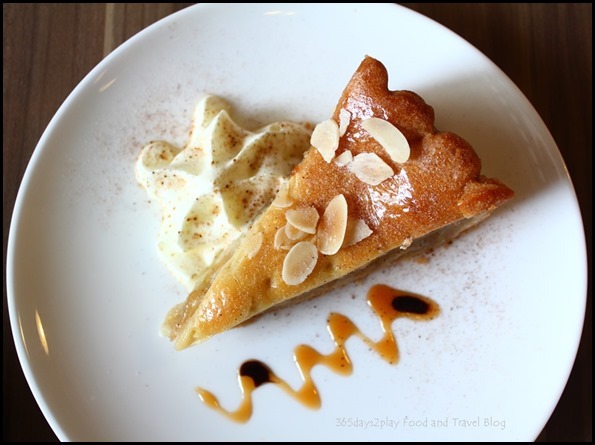 Not many cafes serve apple pies to begin with, and if they do, quite often the standard is mediocre, ranging from too dry to too much crust and not enough apple. I think there are 2 key elements to a good apple pie. First the apple filling must be tasty and moist (something difficult to achieve if you don’t put your heart into making the apple pie), and of course the crust must be buttery and fragrant. The apple pie that The Coffee Shot served was very good as it passed the key components that I just mentioned. The apples were chunky and yielding, but not overly soft. A good amount of cinnamon was used as well to give it better fragrance. Someone once told me that apple pies in Singapore lack cinnamon due to the Asian palate. What a pity then, because really an apple pie is not complete without cinnamon!